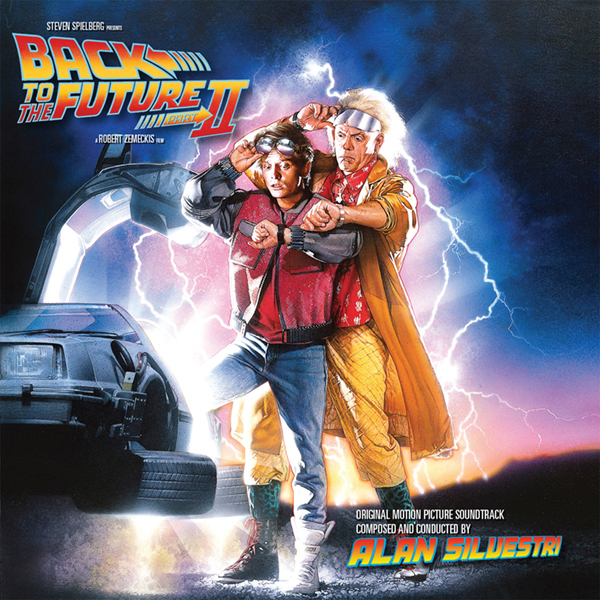 Premiere 2-CD release of expanded Alan Silvestri soundtrack for middle installment of incredibly popular Back To The Future trilogy. Robert Zemeckis directs, Michael J. 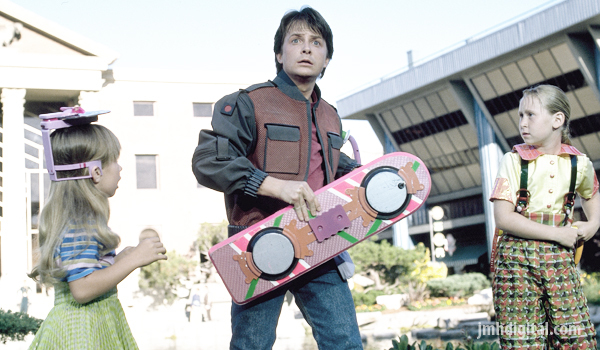 Fox, Christopher Lloyd continue their famous roles as Marty McFly and life-long friend Doc Emmett Brown. Second chapter is darkest, brings alternate universe into play. Supporting characters, particularly Biff (Thomas Wilson), Lorraine (Lea Thompson) get higher profile this time around. Sometimes grim events inspire Alan Silvestri to anchor with original Part I themes but now surround them with degree of thicker, more intense orchestral support. Jagged outbursts of brass, pounding percussion join the familiar action rhythms that accompany Silvestri's rousing, major-key fanfare-theme. Generous 44-minutes of highlights appeared on 1989 MCA soundtrack album.